Let your body move you can reflect later. That's my way in painting. Paint what you feel with fresh energy and dynamism and look at it later, where have you arrived. Does it seem illconsidered? Just the opposite! It is very conceptual! It starts whit the root, the purest source: the body. It needs hard concentration of the mind. 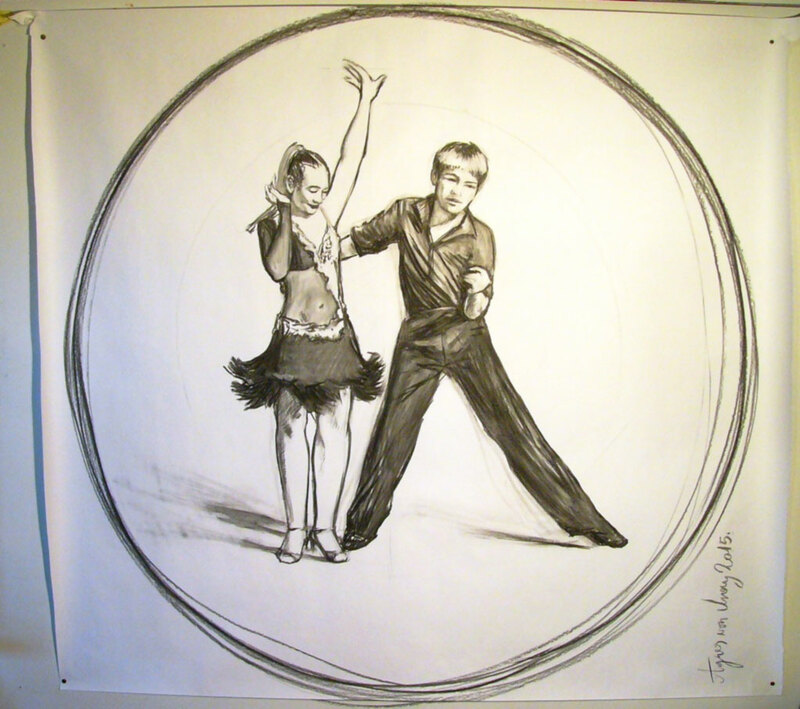 The dance becomes embodied in a 160 * 160 cm sized paper as a charcoal drawing. Its limit is a circle which is as big as I can draw it with one energic move. When I dance, I'm not able to judge, a can not hate, me and the life are inseparable. There happens the same when I paint or draw dance. I'll exhibit two big sized charcoal drawings and five pen-and-ink drawings in the gallery.